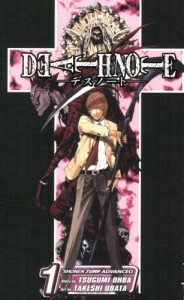 Re-reading the magnificent Graphic novel series - Death Note Death Note, Vol. 1 Boredom (Death Note, #1) by Tsugumi Ohba. I love both this and its anime series and live action feature films. My taste in books has always been eclectic - From classic Victorian literature,Regency, Science Fiction, Fantasy,Gothic romance, Norse/Greek/Roman mythology,Greek plays, Elizabethan plays,history, biographies, poetry, mysteries, horror, thrillers and graphic novels. Death Note will always will be my favorite anime. Even though I know what is going to occur in episode 25, it still gets to me. I understand Kira'/Light's Pov a little in the first episode, but 'absolute power corrupts absolutely' in Light's case. I wonder how many people would want a Shinigami and a Death Note of their own! Death note still asks many important questions on morality - If we had the power to kill all the bad people in the world, should we? Is giving up our soul to oblivion worth the sacrifice of changing the world? Can the path of good intentions lead a good person to be a worse monster then those he intends to dispatch? L is not only my favorite character in anime, but one of my favorite tv (my case dvd) characters. Intriguing character - Flawed, eccentric, moral and highly intelligent. 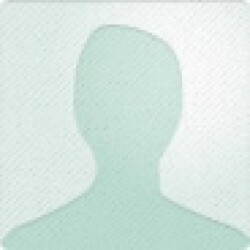 As different as he was from Light, they also had a lot in common. They were both incredibly cerebral men who wished in their own ways to make the world a better place. Light was L's dark mirror in many aspects. Adored the chemistry of danger and admiration between the warring pair. I found this series fascinating and powerful.